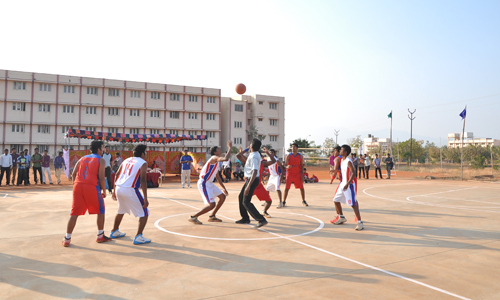 The students of AIMS are couched in the best of infrastructural facilities. The airy and feel-fresh classrooms are equipped with audio-visual equipments, on par with the best of International Institutions. AIMS has a spacious and well-stacked library, with books, journals and periodicals. The library also allows free access to digital audio-video accessories, on a wide range of E-journals, automation and DELNET connection. CEO meet, MDP and seminars are regularly conducted by eminent Resource Persons. Soft skill development is the primary key to success for each and every management candidate. In order to improve the communication skill of the students, well furnished language laboratory is also in place for this purpose. Training in Foreign languages is also available. The students are offered 24 hours access to multimedia computing facilities. A live language lab provides the students occidental linguistic competence. The college has gender sensitive hostels, to cater to the out-station students. The hostels have well ventilated and spacious rooms. Good food, both vegetarian and non-vegetarian, is cooked hygienically. The Gym in the campus satisfies international standards.